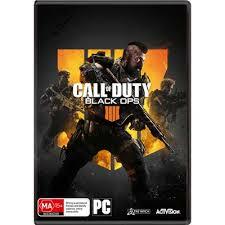 The key of Call of Duty: Black Ops 4 will be displayed on your screen immediately after payment, and will also be delivered to your e-mail, which was specified at the time of purchase. The network game in Call of Duty: Black Ops IIII is filled with fascinating, incredibly realistic fights, in which tactical decisions of the player are of paramount importance. This is a completely new level of network interaction, with a rich selection of new weapons, maps and modes. For the first time, the network game is in the center of the plot, allowing players to uncover the deep interrelation of the roles of all specialists and explore their unique techniques. With the return of the system of creating classes, “Choose 10” - and in combination with the new category of equipment - the gameplay becomes more flexible and changeable, giving you the opportunity to strengthen your specialists in different ways. Using this destructive series of points, players will be able to show themselves both alone and as part of an irresistible team. You will need a russian battle.net account to activate it. To activate the key you need to use RU VPN (For example: TOUCH VPN in google chrome or any). After activation vpn is not required. The game supports multilang. Всё отлично, моментальный ключ, активация прошла успешно, рекомендую!